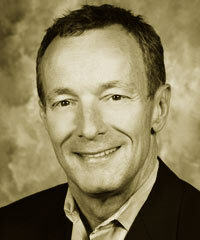 Dan Bross has more than 25 years of experience in the public, private, and nonprofit sectors. With a background in public policy and government and public affairs, Bross has led government affairs and policy teams at both the federal and state levels for two Fortune 100 companies. He joined Microsoft in 1998 and in 2002 led a cross-company virtual team that developed Microsoft’s Global Citizenship Program. He leads a team with citizenship responsibilities focused on issues management, reporting, stakeholder engagement, and strategic relationship management. In addition to his corporate experience, Bross has management and program development experience in the nonprofit sector. During his tenure as Executive Director of the AIDS Council, the nation’s leading AIDS advocacy organization, he chaired a broad national coalition of health and human service organizations and NGOs and served as an Advisor to President Clinton’s Domestic Policy Advisor on the structuring and staffing of the White House Office of National AIDS Policy.